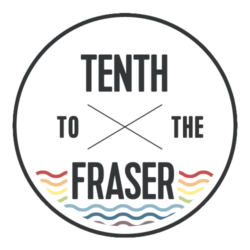 The start of the series is here if you have missed it so far. I eat a LOT of salads. And not because it’s the trendy thing to do, or because it’s the healthy thing to do, I genuinely like the taste of greens and raw veggies. I eat salads for lunch, I eat salads for dinner, and sometimes I even have salads for breakfast. This isn’t new. I’ve been loving on salads for years. But what is new is the level of super tasty greatness that market greens have added. Seriously, the salads I’m creating these days are so crazy rich with flavour, I’ve stopped adding dressing. Salads before the market always had balsamic vinegar or oil and vinegar. Market salads get a squirt of fresh lemon, or parmesan shavings, or nothing at all. Before the market, my greens were either solely spinach, or a mixed container variety. I have no idea when they were picked, how they were picked, where they were picked. I have no idea how long they were in transport, how long they were in a cooler or freezer, or how long they were on the floor before I grabbed them. At the market, my greens have either been picked that morning, or at the latest, the day prior. It is the ultimate freshness. On top of that, I’m getting varieties I’ve never had before. I’m mixing my straight up lettuce greens, with kale, and spicy mustard greens, and red spiky lettuces, and microgreens, and purslane, and rainbow chard. On average, I’ve got four or five different greens in my salads at once – plus all the fresh veggies and herbs, and pretty much anything else I can find in my fridge too! It’s like a Whole Foods salad at a fraction of the cost! Market salads: so rich in flavour, they don’t need dressing! In total we spent $41.75, but had $1 leftover from the previous week, leaving us over budget by 75 cents. This week’s market meal was centred on the celebration of me completing a chemistry course I had dreaded/avoided for 1.5 years. It was a hard slog this summer, and pass or fail, I deserved a reward. As such, the brunt of our expenditure went to the bottle of pinot gris from Blind Tiger Vineyards, an organic-certified vintner located in the Okanagan. 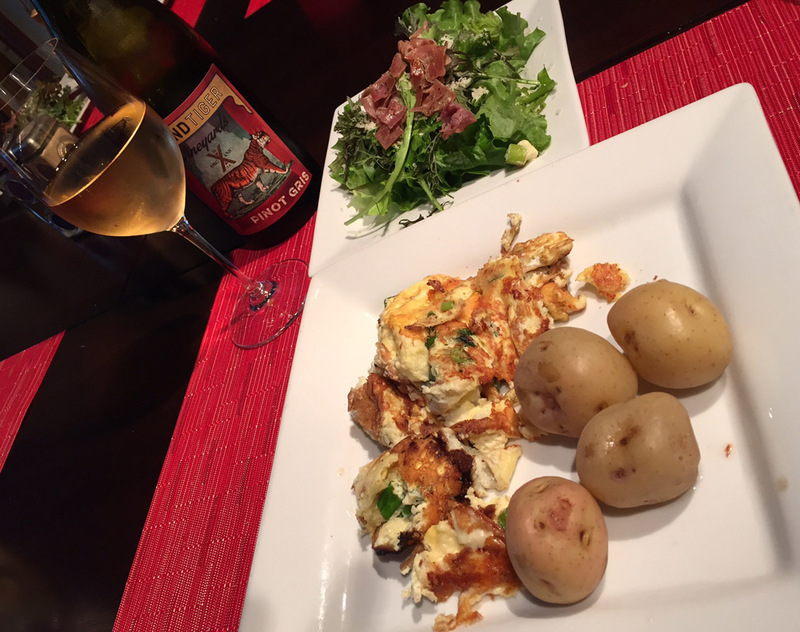 To compliment the wine, my husband cooked up a peasant-style French meal of simple omelettes with basil, green onion stems, and sharp cheddar, and a side of boiled nugget potatoes drizzled in browned butter. Market Meal: a French-inspired peasant’s meal of omelettes and boiled potatoes. The only thing missing from the meal was we should have been eating it on a terrace overlooking the Mediterranean in the south of France. 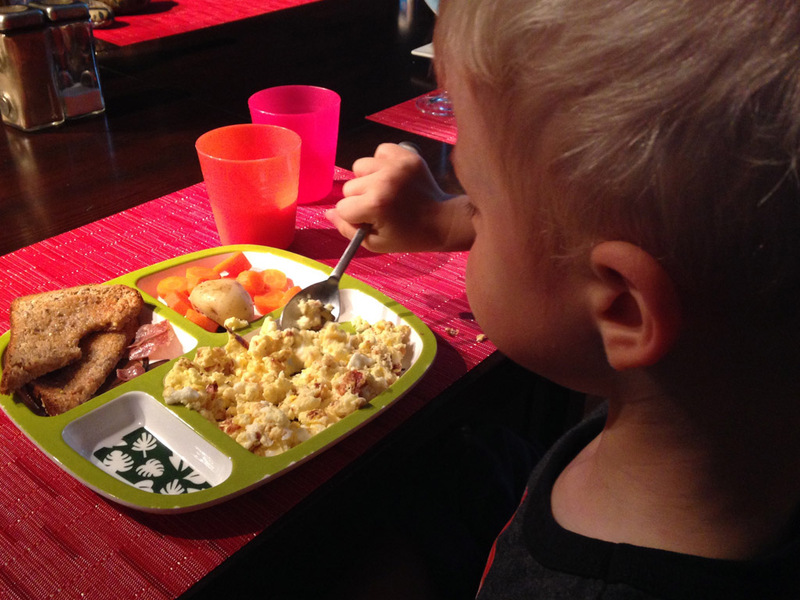 The great thing about eggs, they’re a surefire win with the toddler age. 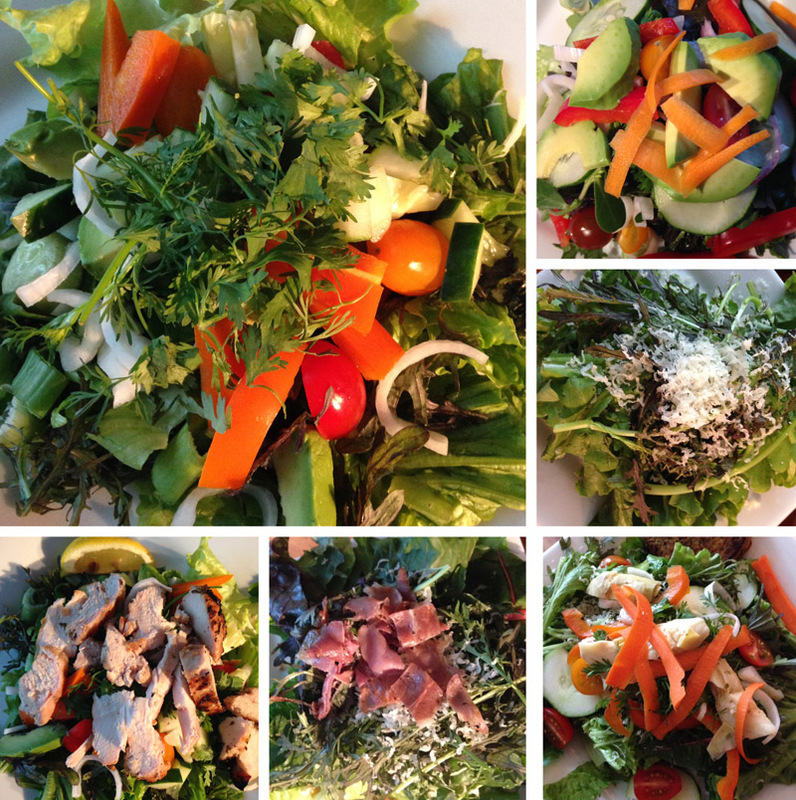 4 full-plate lunch salads – with green lettuce, rainbow chard, kale (from last week), pizzo mustard greens (from last week), purslane (from last week), cilantro (from last week), ruby streaks, cucumber, onion stems (from last week), and Italian onions (from last week). The lesson learned this week: get to the market early. In week’s past, my husband and I have arrived at the market around 3:30, shortly after it opens. Parking is ample, atmosphere is relaxed, and booths are stocked full. This week, however, we arrived closer to 5. Several vendors had sold out of items we wanted. Farmers’ markets aren’t supermarkets; they don’t have an endless supply of product in storage; they’re going to run out. If you snooze, well, you lose.